Our Mission Statement:" The One stop Shop for I.C.T Solutions" We engage in Computer Networking, Hardware and Software maintenance, website design, systems, data and network security, tailored management systems, Internet solutions and product sales. Are you looking for high quality computer data recovery services? Then answer would be to seek assistance of Shalynx Solutions, one of the foremost providers of data recovery services in Kenya. With an outstanding work team consisting of highly experienced and skillful data recovery engineers and IT technicians, we render first class data recovery services for failed hard disk drives in desktop PCs, laptops, servers, tape cartridges, and raid arrays that work on all kinds of operating systems such as Windows Server, Linux, MAC and UNIX. Among the highlights of our data recovery services are best-in-class data recovery options, 100% success, cost effectiveness, and fast turnaround time. Further, we provide data recovery services for almost all major brands of computers including Advent, Asus, Gateway, IBM, Panasonic, Acer, Sony, Alienware, Averatec, Gericom, Medion, Toshiba, Apple, HP, Dell, and Packard Bell. Apart from these, we also provide advanced data recovery services to recover data from laptop drives with severe problems like electronic issues and mechanical failure. 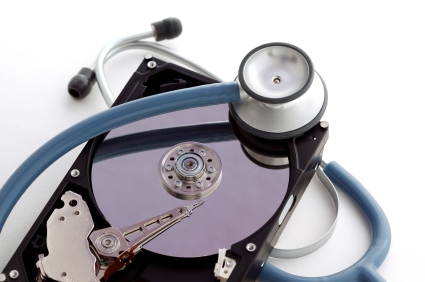 In order to guarantee maximum drive efficiency for hard drives with mechanical failure, we utilize most sophisticated options such as 100 clean room facility. We also advise our clients regarding the data back-up that is most suitable for your IT infrastructure. We are there for our clients all over the Country, always attentive and respectful of other nationalities and cultures. We work for our common success in total commitment and mutual trust, this mainly because our standard is the creation of implementable results.